1. Start that neglected television marathon. While you may have been keeping up with shows during the fall semester, there was never a good time to start a full-on marathon with shows such as Homeland, Downton Abbey, or Dexter. However, now that you have a couple of free weeks, this would be a good time to start those shows! 2. Take a trip to the movie theater. There are some incredible movies coming out this winter. I personally can’t wait for Les Miserables, This is 40, Django Unchained, Promised Land, and $ellebrity. 3. Read an unassigned book. This winter I am looking forward to reading Anna Karenina (and then I’ll watch the movie), Goodbye Cinema, Hello Cinephilia, The Kitchen House, and The Night Circus. 4. Try a new recipe. Hone those baking skills this winter, or try a challenging recipe that has intimidated you for months. 5. Plan a movie night. Whip up your favorite cookies and drinks, pop in a movie, and enjoy a comfortable night with friends or family. 6. Make your own movie. With apps such as 8mm Vintage Camera, iMovie for iPhone, and Paper Camera, you can document your winter activities without breaking the bank! Have a very Merry Christmas tomorrow! 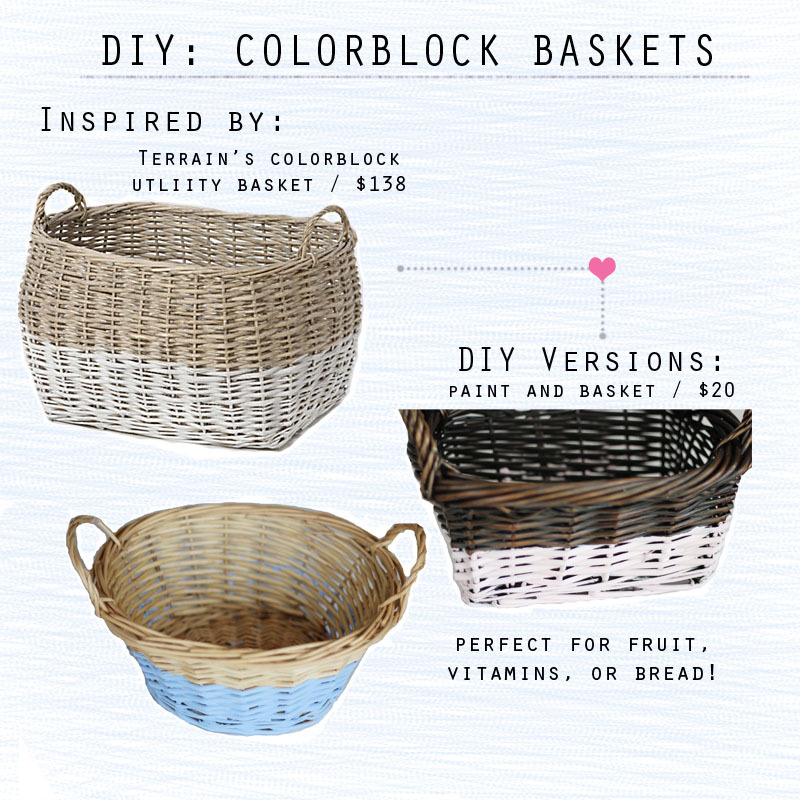 I was inspired to create a DIY post on colorblock baskets when I saw the price of this Colorblock Utility Basket from Terrain. I picked up a couple of baskets from Michaels (this one is a great alternative), brushes, and small bottled craft paint for a couple of dollars. 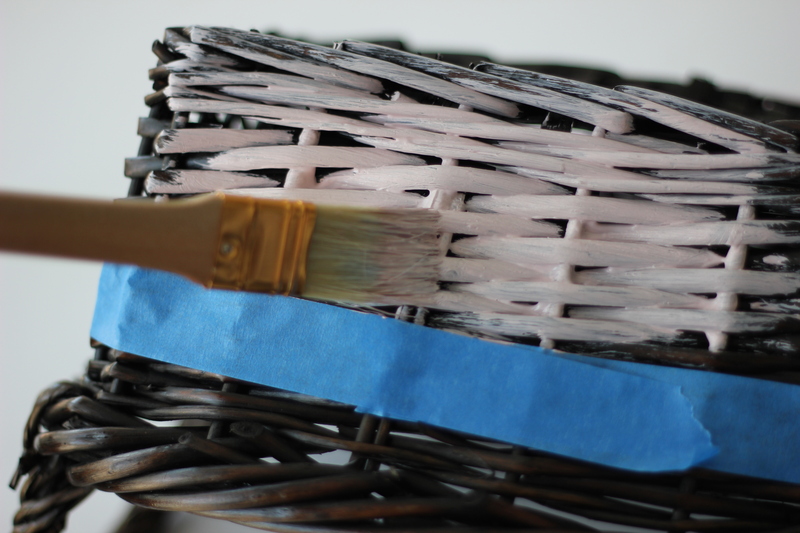 Wrap tape around the basket halfway down and simply start painting the bottom half in any color! 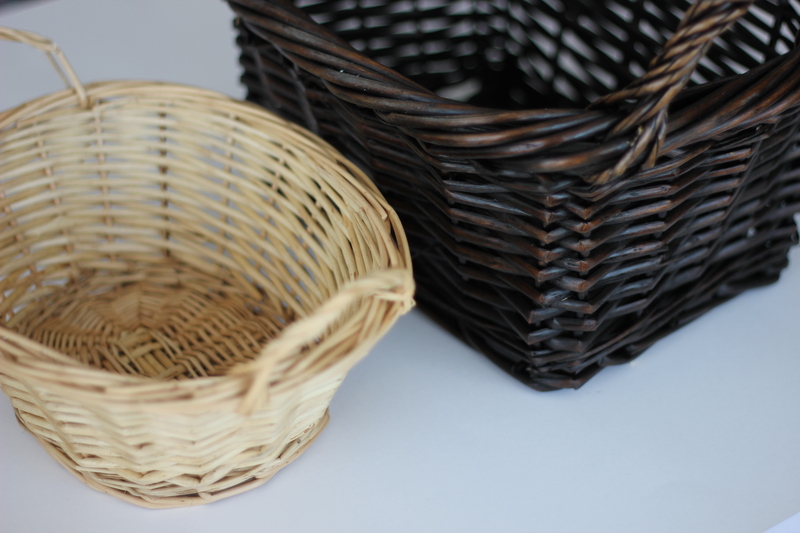 You can paint a couple of coats for a bolder look, and then flip the basket over and allow it to completely dry. I use mine for holding fruit, bread, vitamins, and magazines. These DIY baskets are much cheaper, give you more creative freedom, and are extremely useful in terms of organizing a kitchen counter or room.